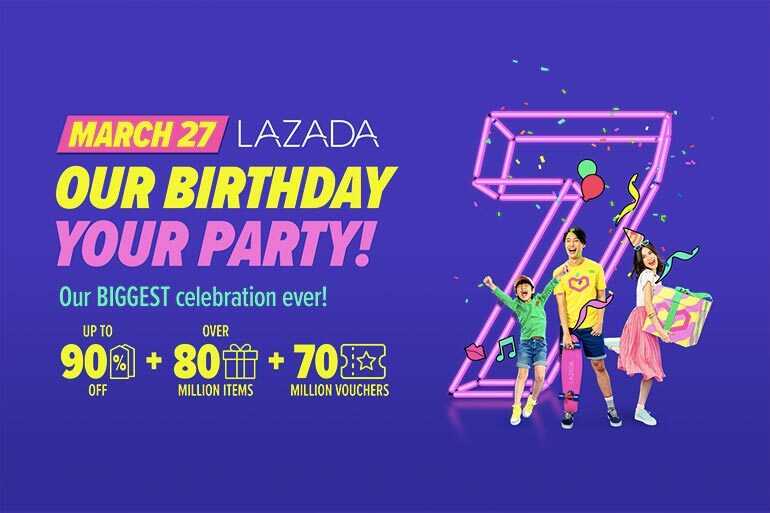 Its Lazada’s 7th birthday on March 27, 2019. You can get up to 90 percent off on the brand’s big sales event. Use your BDO Visa card and get up to Php 5,000 off on LazMall gadgets. You can now purchase real estate online — Revolution Precrafted and Robinsons Land are offering 50 percent off reservation fees on March 27 only. Get a chance to win travel packages from Sunlife. Win a discount voucher when you play Lazada Facebook game Over Easy: Laz Edition. Lazada will also offer additional discounts and vouchers for playing the LazGame, Popping Balloons, Birthday Blast, and Fruit Slash. Players can earn cupcake points which can be exchanged for brand vouchers. On Marcg 26, Lazada will be livestreaming Dua Lipa’s Super Party concert. It also features Pinoy performers and celebrities like Nadine Lustre, Sam Conception, and Pia Wurtzbach. The Lazada mobile app is free to download on the Apple App Store and Google Play.